MUNICH (Reuters) - BMW's (BMWG.DE) R&D chief said he saw hurdles to deeper collaboration with Apple (AAPL.O) beyond making products such as the iPhone work well in vehicles, but stopped short of ruling out the possibility of developing a car with the tech giant. Apple is looking beyond mobile devices to learn how to make a self-driving electric car, and is talking to experts at carmakers and automotive suppliers, a senior auto industry source familiar with the discussions said last month. 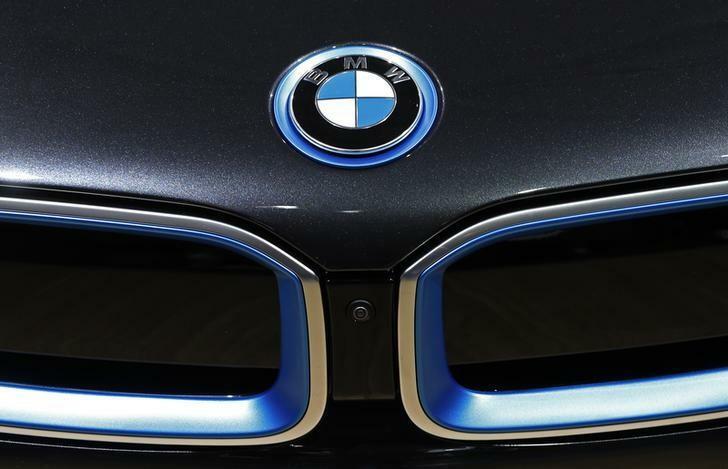 BMW research and development chief Klaus Froehlich told Reuters that his company and Apple had much in common, including a focus on premium branding, an emphasis on continually evolving products and a sense of making design aesthetically pleasing. Asked, in general, whether a deeper collaboration beyond integration of products like the iPhone would make sense, Froehlich initially said the German carmaker would not consider any deal that forces it to open up its core know-how to the U.S. firm. "We do not collaborate to open our ecosystem, but we find ways because we respect each other," Froehlich said. When asked directly whether BMW might develop a car with Apple, he replied: "I will remain hypothetical on the topic. When it comes to the topic of technology, BMW tends to focus on its own strengths." BMW will keep in mind the needs of the customer, and what the company's core strengths are, when it considers the merits of entering any strategic collaboration, Froehlich said on Wednesday. The carmaker, which has ranked as the world's best-selling premium car brand for almost a decade, has signalled it may ease back on efforts to protect market share at the expense of margins, after surprising investors with a conservative view on profit growth this year.